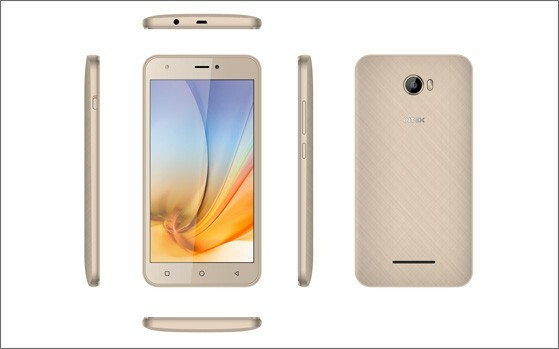 Intex Aqua 5.5 VR+ launched with Android 7.0 Nougat at Rs 5,799. Intex announces a new VR-enabled smartphone called the Aqua 5.5 VR+. The new smartphone comes with VR Headset and 3D content. The Intex Aqua 5.5 VR+ comes bundled with a plethora of other features. The smartphone will be available in Champagne colour and is exclusively available on Flipkart at a price tag of Rs 5,799. Intex's new 4G VoLTE smartphone which comes with VR support boasts a 5.5 inch HD IPS display that is set to enhance the 3D live experience for the users. Aqua 5.5 VR+ is powered by a 1.25GHz Quad-core Mediatek processor that delivers a fast paced experience and smooth functioning, claims Intex. The smartphone comes coupled with 2 gigs of RAM and 16GB of internal storage which can be expanded by up to 64GB via microSD card. The smartphone runs on the latest Android Nougat 7.0 operating system and is backed by a powerful battery of 2800mAh Li-Ion. Intex claims that the batter of the Aqua 5.5 VR+ phone delivers a long lasting battery life and let users "enjoy an endless experience." The smartphone also comes with popular music streaming features like - Gaana. It also comes with Vistoso app that allows users to bring out the artist in them and make an artwork from the filters available. On the camera front, the new Intext phone comes with 8-megapixel on the back, while on the front the phone includes a 5- megapixel cam coupled with LED flash for capturing better selfies. Also Read: Best Smartphones for indian users under ₹15000. Commenting on the launch of Aqua 5.5 VR+, Ms. Ishita Bansal, Product Head (Mobiles), Intex Technologies says , "With Aqua 5.5 VR+, we have added a valuable product to our portfolio and are working towards creating an industry benchmark in terms of affordable phones with high end features. The product promises to deliver high quality experience and satisfy all users. We are also excited about our partnership with Flipkart for this product and are confident about expanding our online reach with the association." Aqua 5.5 VR+ comes with Intex key pre-loaded features. One such service is the QR Code scanner which decodes the QR code automatically and shows the relevant information with buttons for the next steps to be taken. The second feature is -- Xender - a service that helps users transfer contacts, photos, SMS, files, etc. much faster than via Bluetooth, without utilizing data.